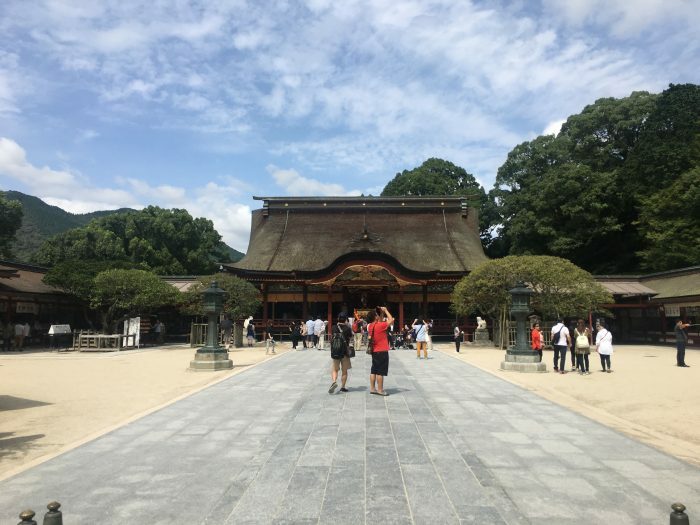 On my second full day in Fukuoka, I decided to take a day trip to Dazaifu, since I’d heard that it was pretty & had some nice shrines & museums. After eating the best ramen I had in Fukuoka, I took the subway back to Tenjin station. From there, I headed into the train station, where I caught a train toward nearby Dazaifu. 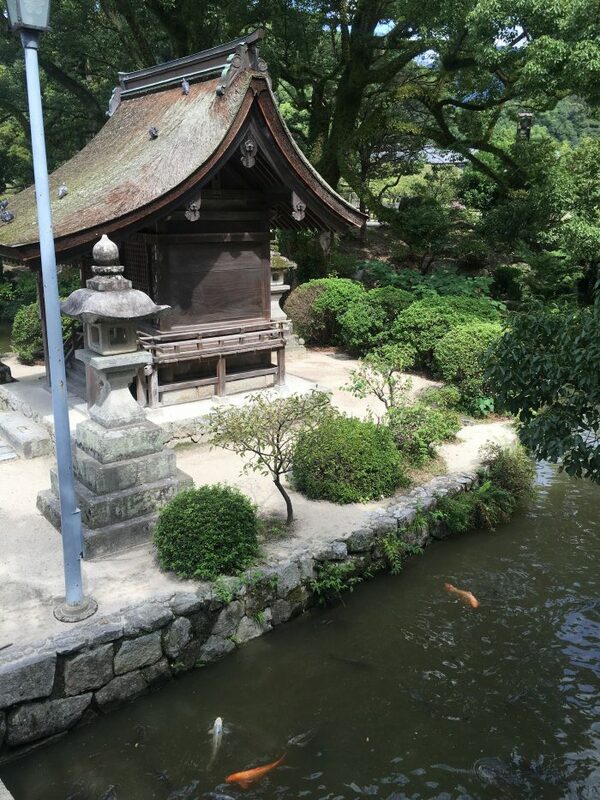 Dazaifu is fairly easy to get to from Fukuoka. There are trains to the area every 15 minutes or so from Tenjin. 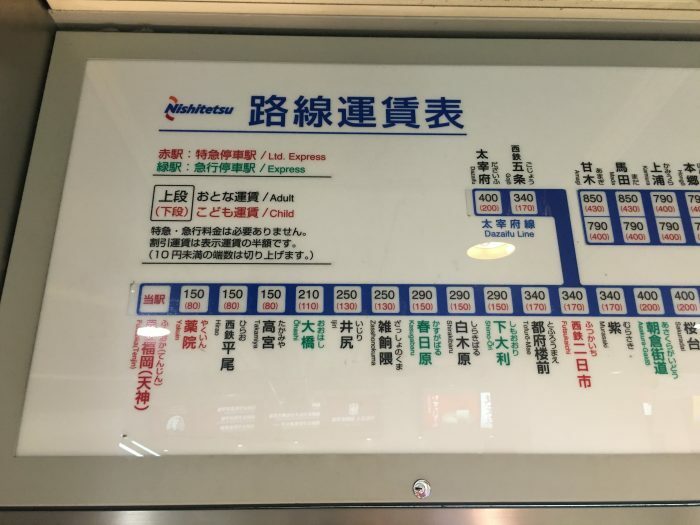 The only catch is that Dazaifu itself is down a small, two-stop branch line, necessitating a transfer to that line from the Nishitetsu-Tenjin-Omuta Line. The connection at Nishitetsu-Futsukaichi Station is timed, so I had about 5 minutes to walk to the other track. The journey cost 400 yen each way & takes about 25 minutes. Thanks to how close it is, it’s a perfect day trip from Fukuoka. 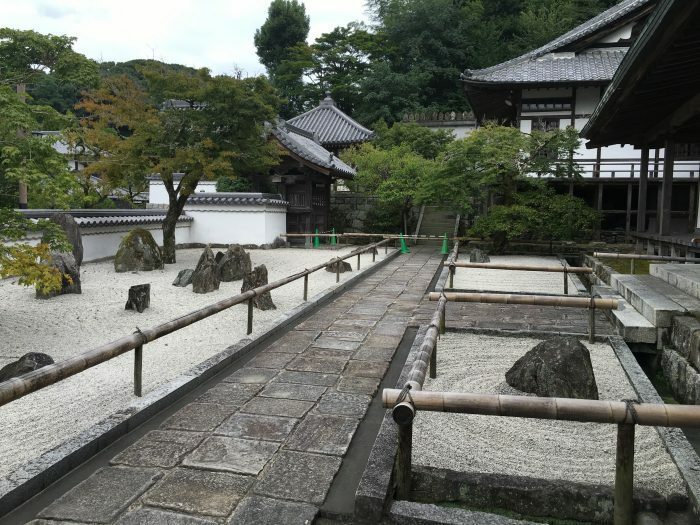 Dazaifu is nestled in the hills of the suburban Fukuoka area. It was nice to get out of the city for a bit. The sun was finally coming out again after the typhoon had swept through a couple of days prior, leaving a bit of blue sky. 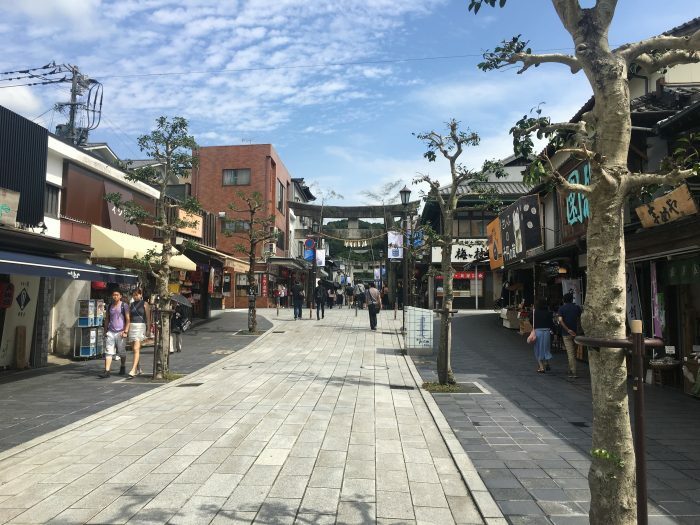 Coming out of Dazaifu station, there is a cute shopping street. In addition to some food stalls and tourist shops, there was also the fanciest Starbucks I’ve ever seen. It was so notable that people were posing for photos by it. 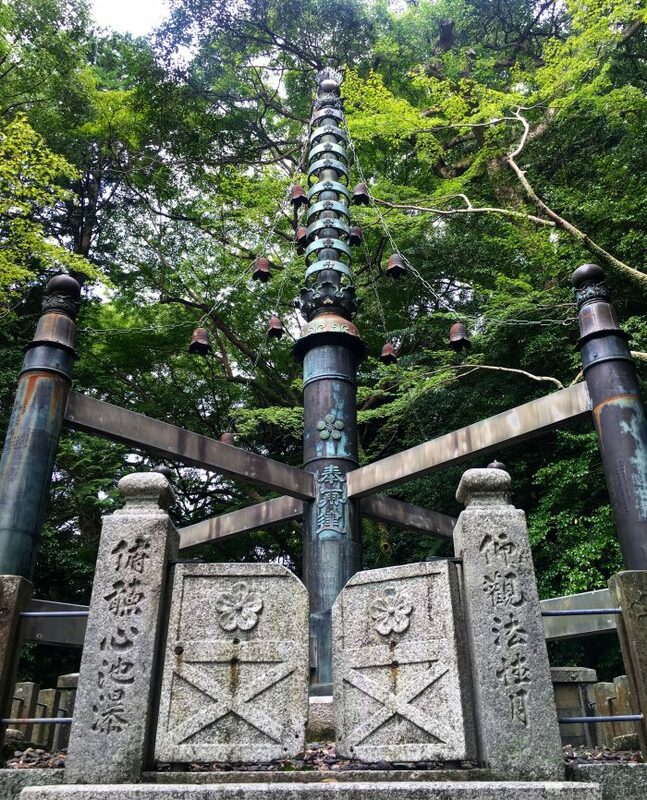 The main destinations along this walk are the Shigasha and Dazaifu Tenmangu Shrines. The first one you pass is Shigasha, nestled beside a bridged pond. 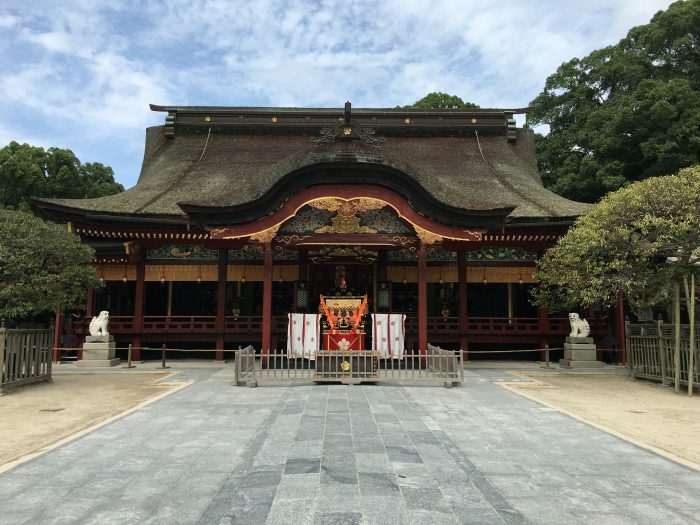 Further along is Dazaifu Tenmangu Shrine. 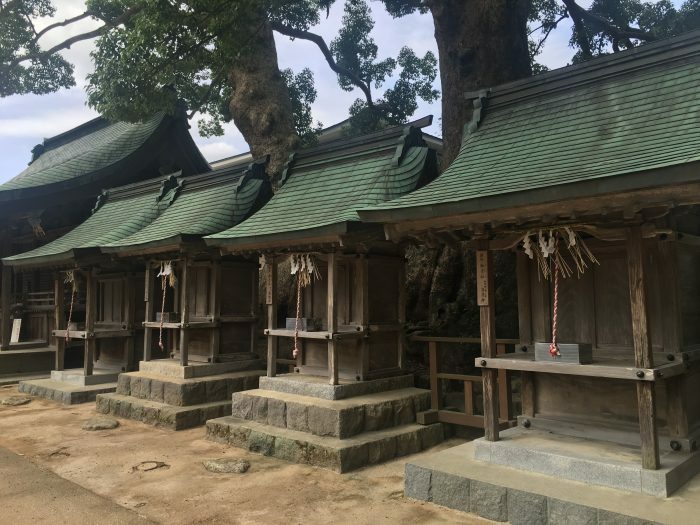 Filled with beautiful gardens and amazing massive trees, it is a fairly typical Japanese shrine. Despite being close to urban areas, the layout of the hills means it doesn’t feel urban at all. Lots of small structures dot the hills just above the main shrine building. Unfortunately, there are no signs with explanations, but they are still nice to look at. Birds & butterflies flitted about the grounds. The area isn’t huge, so you can walk around most of it in about half an hour, depending on how much you want to relax and take in the experience. Speaking of experiences, there’s an amusement park next door. 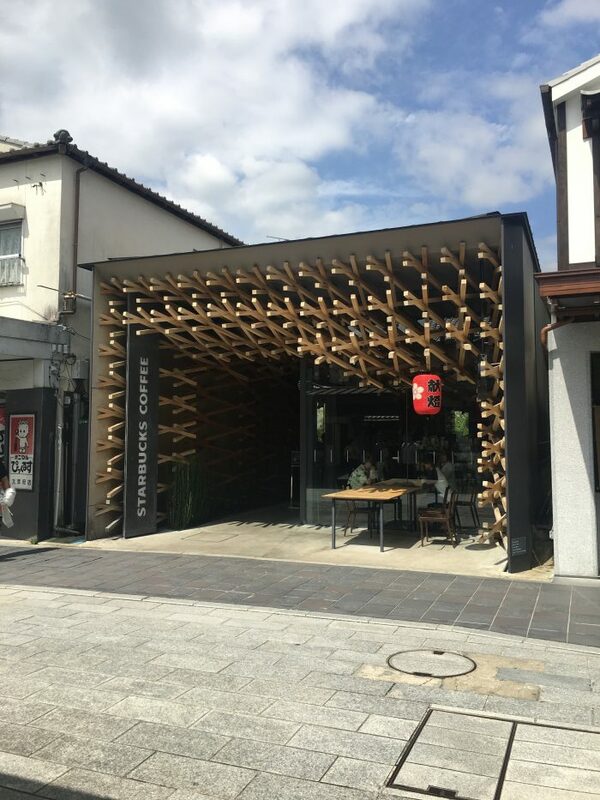 When I visited Dazaifu, it was shut. There aren’t many things that are creepier than a closed amusement park, especially when said amusement park is still playing music as if it’s open for business. I quickly moved on to my next destination. 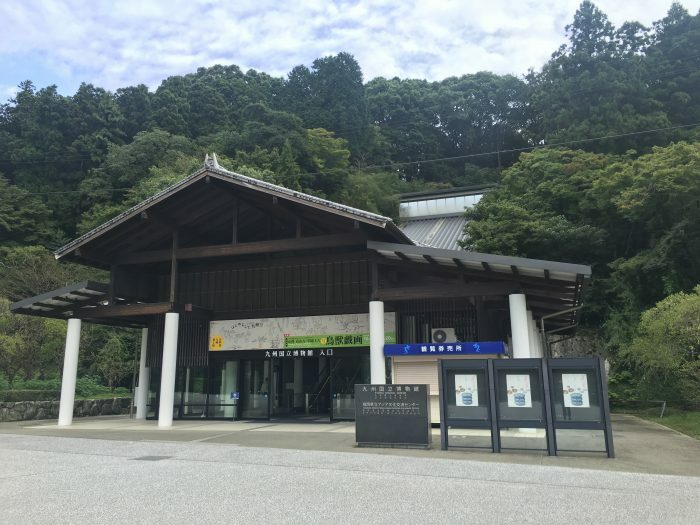 Dazaifu is home to the Kyushu National Museum. 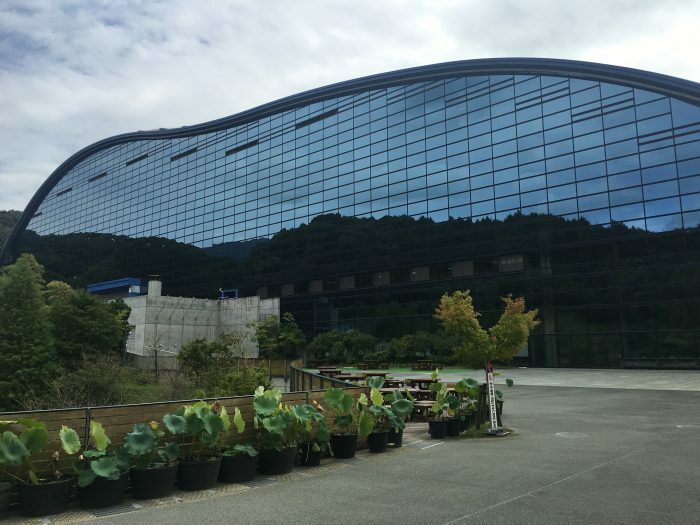 It’s a massive modern building on a hill above the town, yet it still somehow feels hidden. 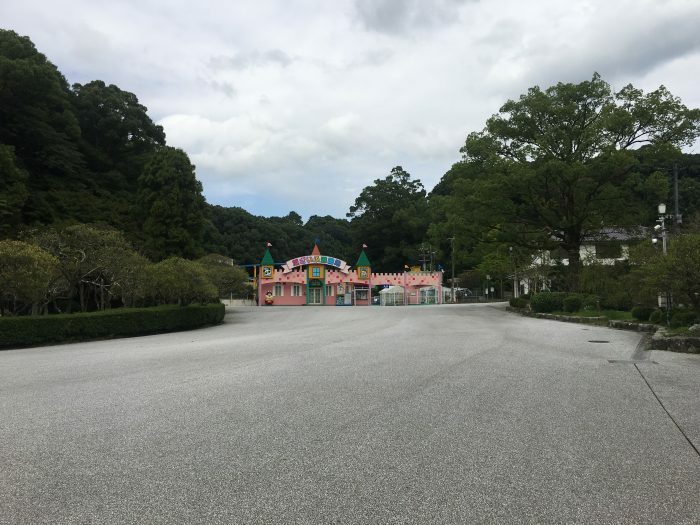 While there is a main entrance to the museum that is up a winding path, if you head out the side exit of the shrines (toward the creepy amusement park), you’ll spot a building at the base of the hill. 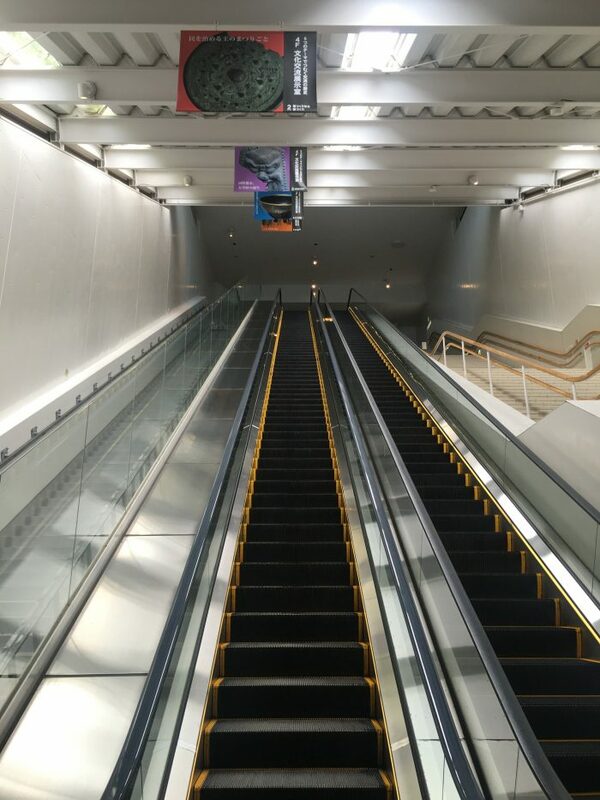 Inside this building is an escalator that will take you up to the museum. 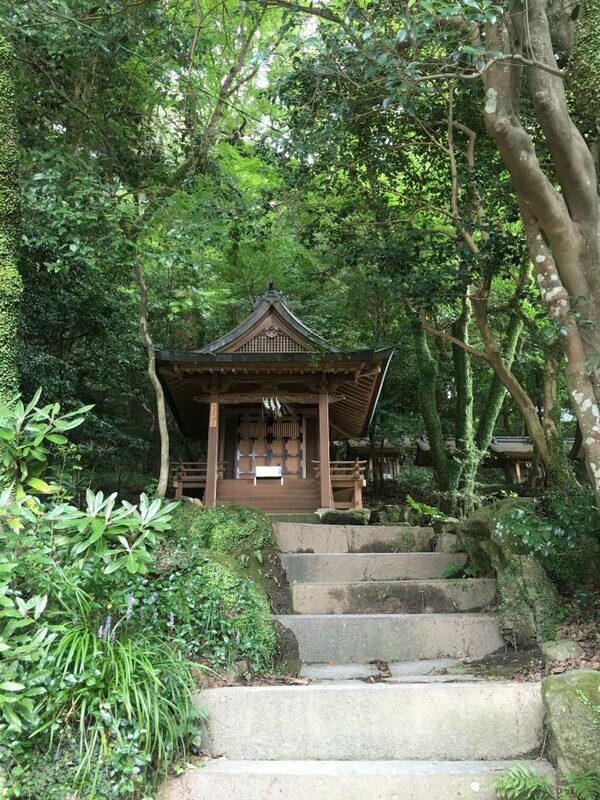 The walk along the winding path is nice, but since it’s actually out of your way to access it from the shrine, you can save it for your return. 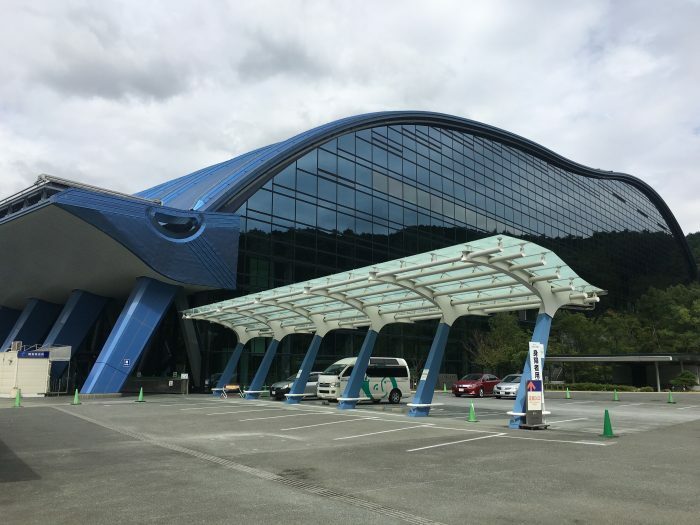 The Kyushu National Museum is a huge building. The waves & glass reflect the trees & hills surrounding it. Inside, the huge atrium leads you up escalators toward the galleries. 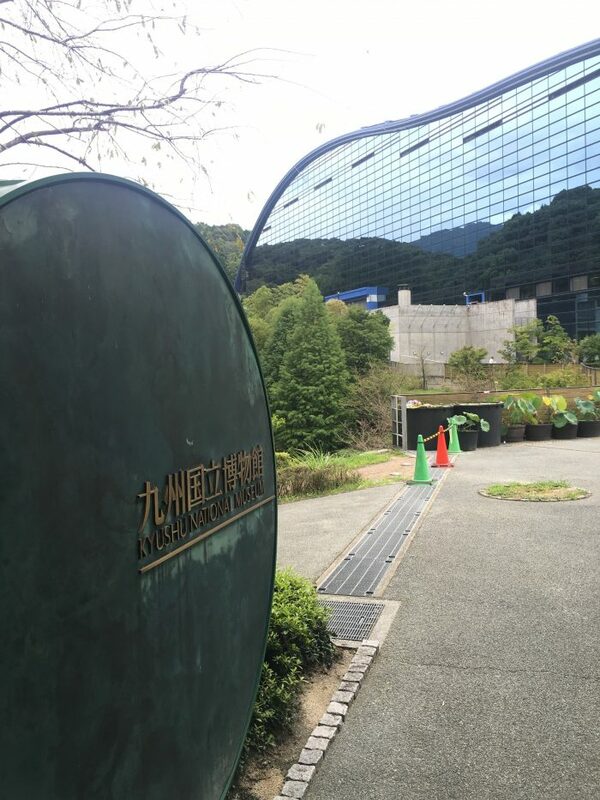 The museum is one of four national museums in Japan. The others can be found in Tokyo, Nara, and Kyoto. Inside you’ll find a variety of history & art exhibitions. There is a permanent gallery, as well as special exhibitions. 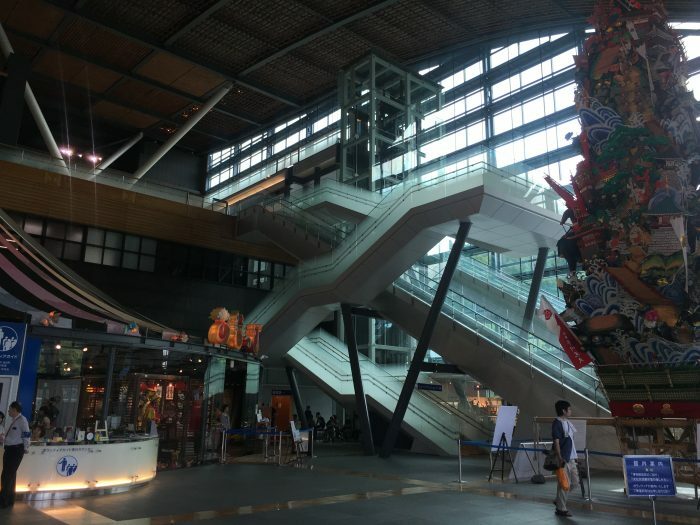 The focus of the museum is on Japanese culture & how it was formed through the centuries in relation to the rest of Asia. The permanent gallery contains archeological and cultural artifacts from around Asia. The temporary galleries take that even further, as the museum participates in exchanges with other national museums from around the region. 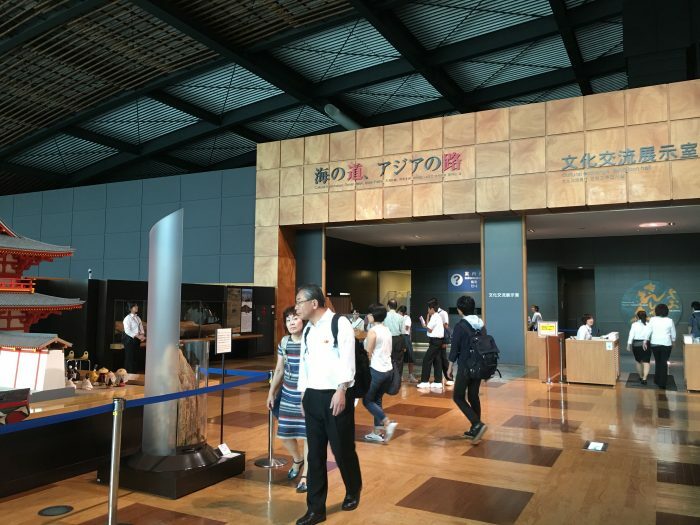 The Kyushu National Museum has a free audio guide, but all of the signs were in English as well. Although the galleries only take up part of the larger building, the museum is still worth visiting. Everything is well-presented & informative. Unfortunately, I don’t have any photos since photography is not allowed inside. 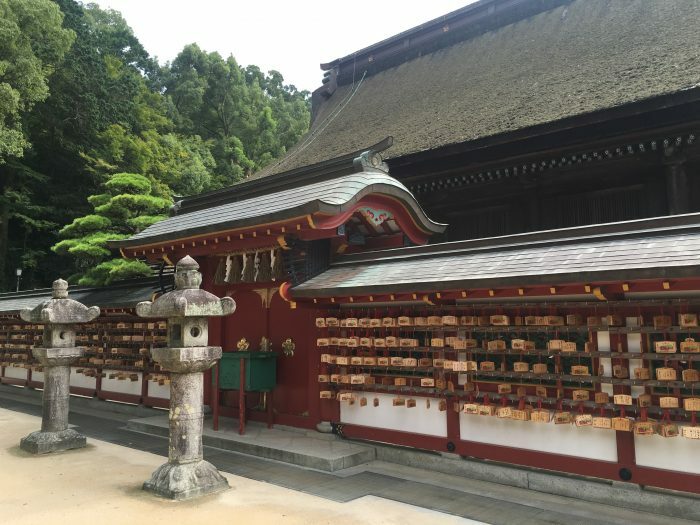 After walking down the winding path leading down the hill toward Dazaifu, I passed Komyozenzi Temple. I peered inside, but didn’t venture further since I had other plans. I was off back to Fukuoka to see my first Japanese baseball game later that evening. 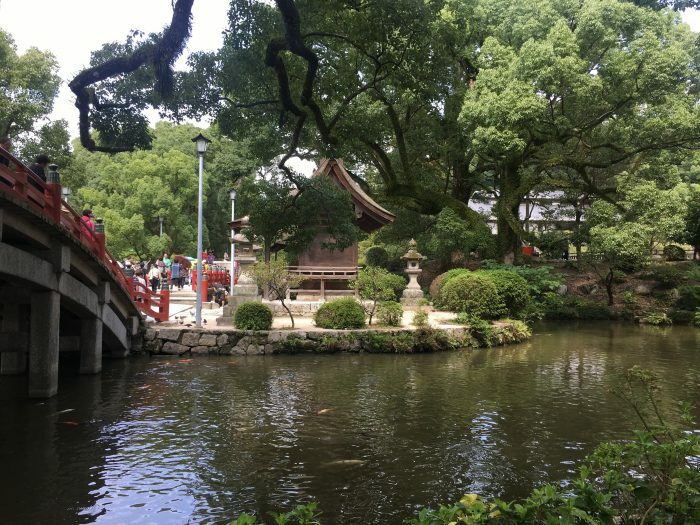 If you’re visiting Fukuoka & would like to get out of the city for a few hours, Dazaifu is a nice little trip. You can see it all in a half day trip from Fukuoka, which lets you get back to the city for whatever else you have planned.